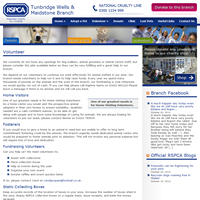 The RSPCA Tunbridge Wells & Maidstone Branch approached us with various different requirements for there new branch website. 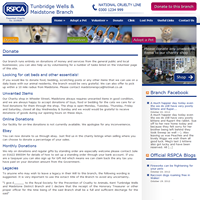 They needed a site where it was easy to manage content that would be put onto the site, as there is often a need to upload pictures/articles about new animals that have been rescued and need a new home. 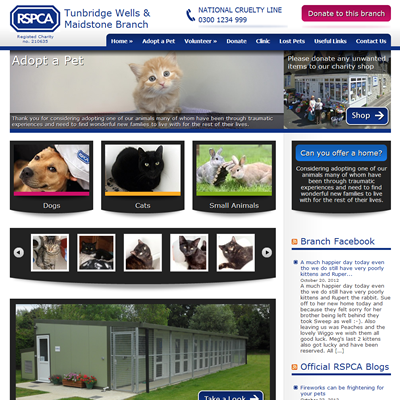 They also wanted the site to have an attractive and interesting appearance, in order to attract more attention from the public, as well as conveying the right amount of information to encourage people to either donate, or adopt a pet. Once the necessary requirements had been discussed, and we were able to identify the needs of their organisation and created a new & fresh website for their branch. 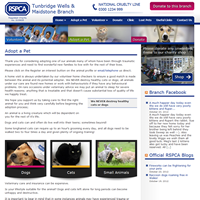 The website that we designed contained creative image sliders in order to help advertise the pets that are available to take home, as well as a modern looking portfolio section containing more images and videos. The website is easy to use as the layout is readable and navigatable in order to help the user gain as much information from the website as easily as possible. The site built in WordPress to allow the branch to easily edit content and images whenever necessary. 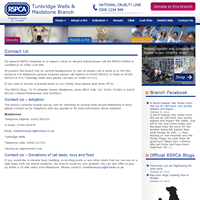 The RSPCA Tunbridge Wells & Maidstone Branch have been extremely happy with the website we provided as it allows people to contact them more easily as they can access the correct information quicker. 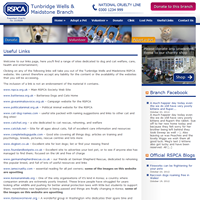 It also made keeping the site up to date a lot easier meaning that they are able to notify people of new animals as soon a the animals arrive. The site has helped to increase productivity and generate awareness for the branch, so much so that they have informed other branches of our work.